Structural Repairs | Above Water Inc.
WHY YOU NEED STRUCTURAL REPAIRS. 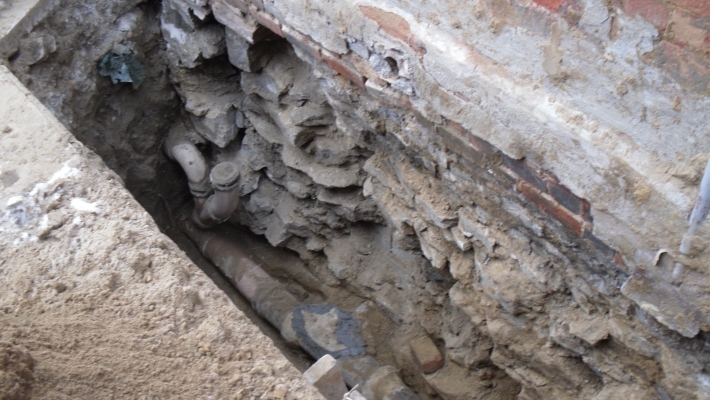 Fixing structural foundation problems can be problematic and costly. Above Water Inc provides structural repairs at affordable prices. A structural crack is where the foundation wall feels uneven or the width of the crack is about ¼” or wider. Some structural foundation cracks will require engineer specifications in order to repair. The obvious thing to look for is major crack on the foundation wall. A horizontal crack means that there is a problem. Though all cracks on the basement wall are generally bad, but horizontal cracks are serious. Horizontal cracks occur with the soil [mainly clay] constantly expanding and contracting putting the basement wall under a lot of pressure. Some walls especially block foundation walls tend to bow. Not all foundation cracks are serious. Some small hairline cracks can occur on dry walls, ceilings, or foundation walls due to minor settlement of the home or seasonal expansion and contraction. If leaking occurs then there is a problem and should be looked at. Newly poured concrete tends to crack as concrete shrinks during the curing process. These cracks are usually surface cracks and those foundation cracks may not go through the entire width of the wall. Majority of common foundation cracks occur around basement windows and doors as it’s a “void” in the foundation wall. 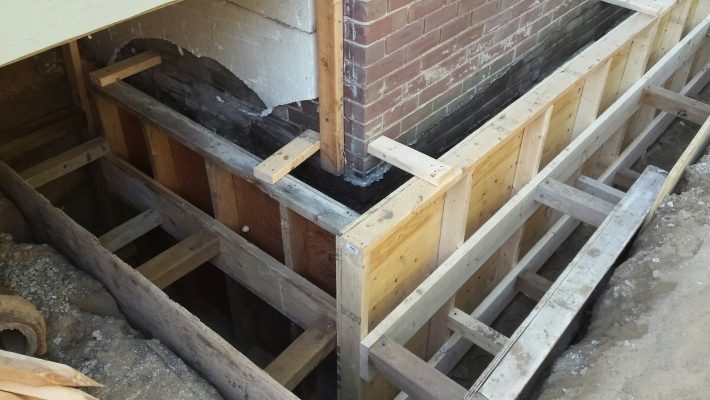 Above Water Inc also provides services like concrete repair, foundation waterproofing and underpinning. View a list of all our services. You may also visit our projects page to view some of the projects we have completed in the past. For additional information regarding our services, kindly give us a call or visit our contact page to send us an inquiry.